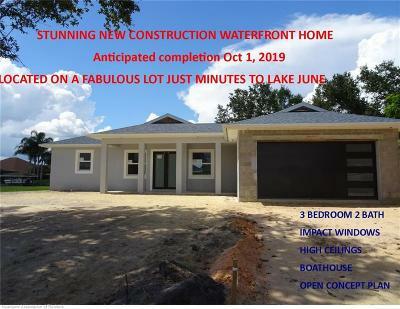 Stunning 3 bedroom 2 bath WATERFRONT TO LAKE JUNE home projected to be ready by Spring 2019! BRAND NEW CONSTRUCTION! Imagine picking out everything inside this home & making it your own! 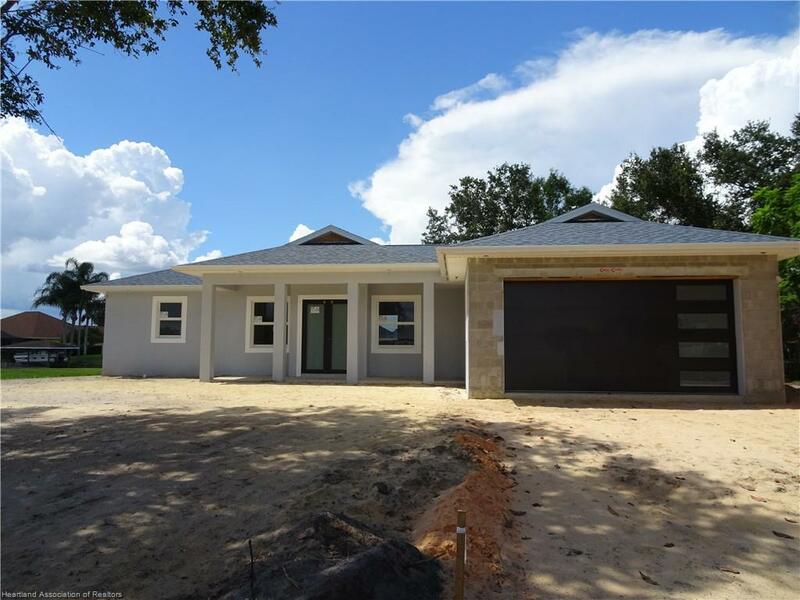 When you walk in,the open concept design with vaulted ceilings, IMPACT WINDOWS, huge great room & gorgeous water views will take your breath away. Kitchens & baths give you your choice of color & style with real wood cabinets & granite or quartz counters! Flexible floor plan gives you the option of a 4th BEDROOM OR Formal dining room OR Office OR Den OR...well, you get the idea... YOU CHOOSE! Roomy master overlooks the water & offers a luxurious bathroom fit for a queen AND king with shower & double sinks. The split bedroom design for the other two bedrooms has a jack and jill bathroom too!. Outside enjoy dining by the water under your screen lanai. All this located on the 4th canal to Lake June almost to the main channel AND a brand new boat house & seawall! Hurry so you can choose your finishes!